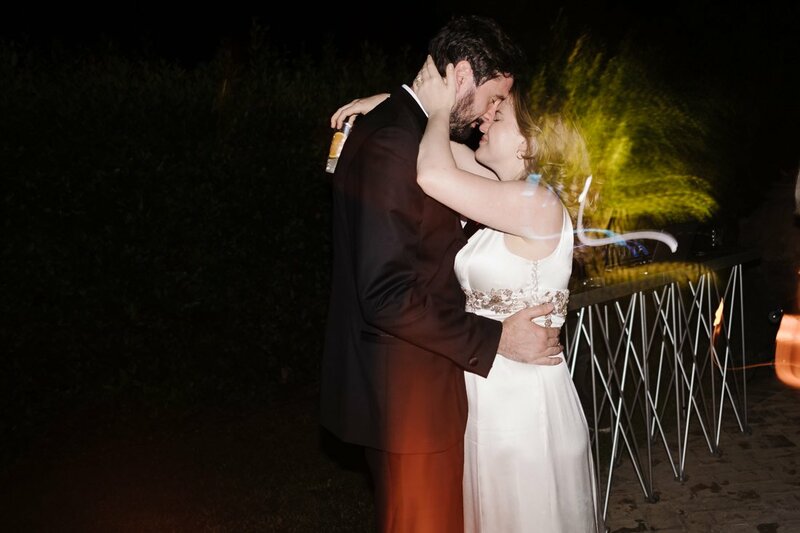 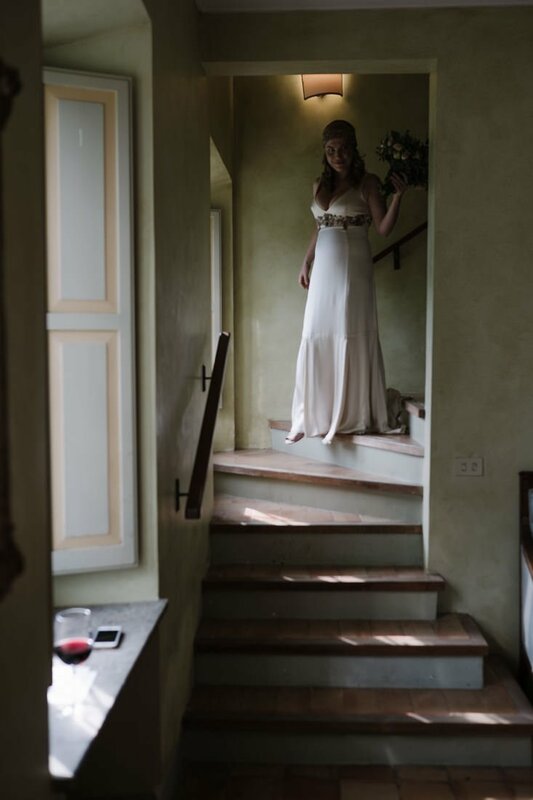 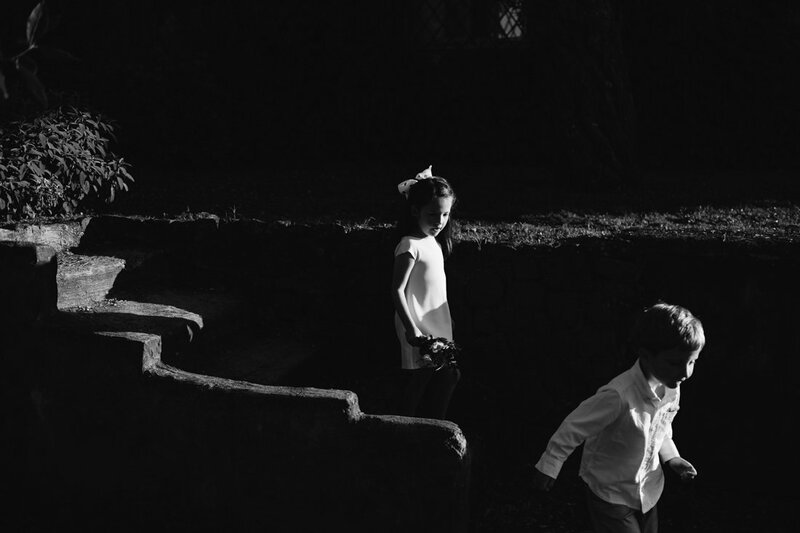 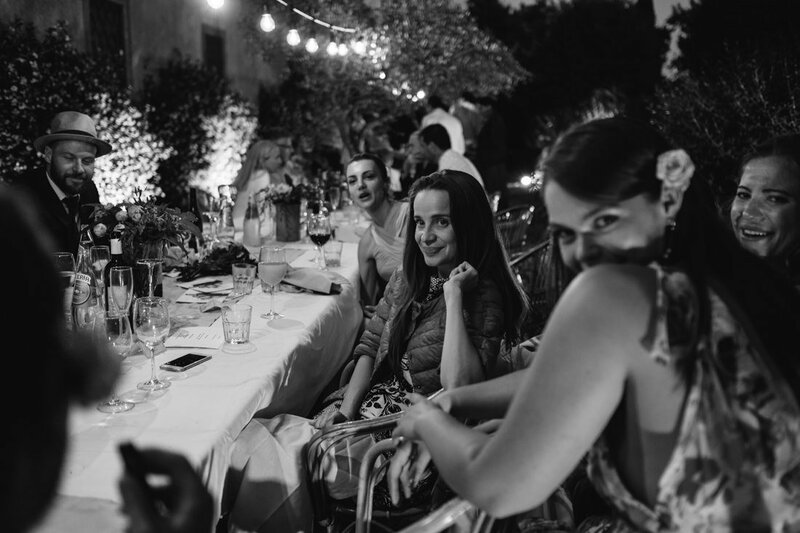 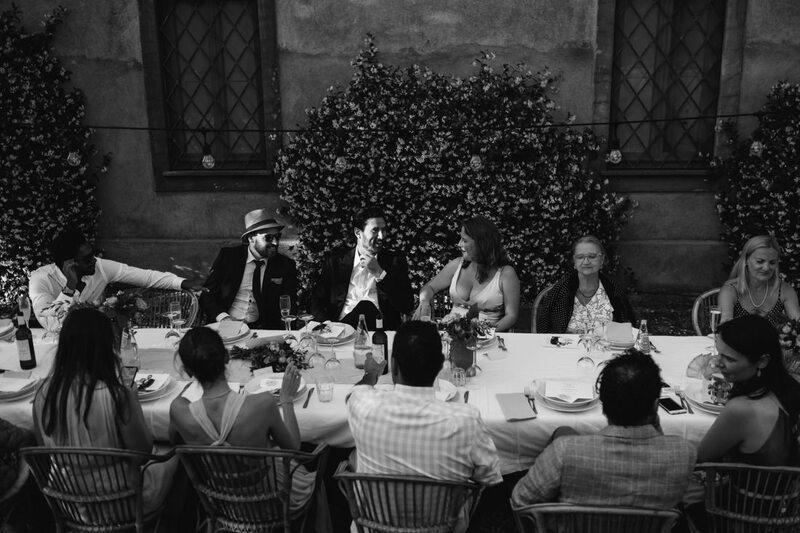 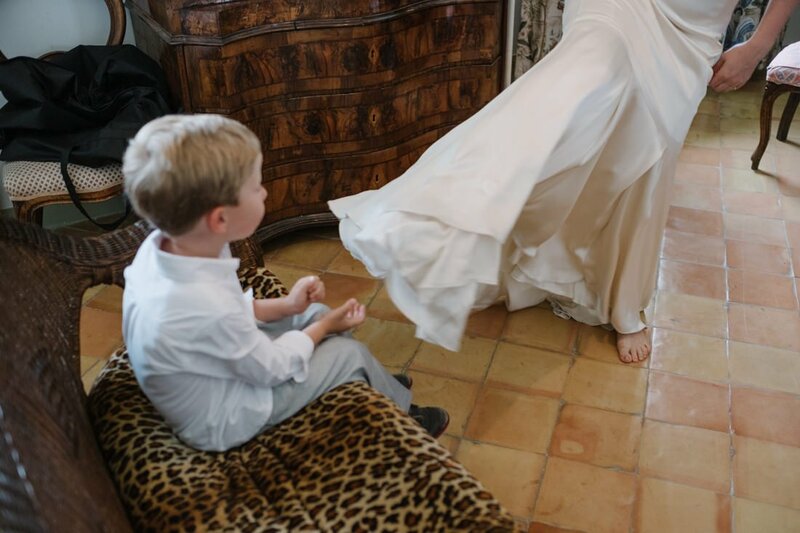 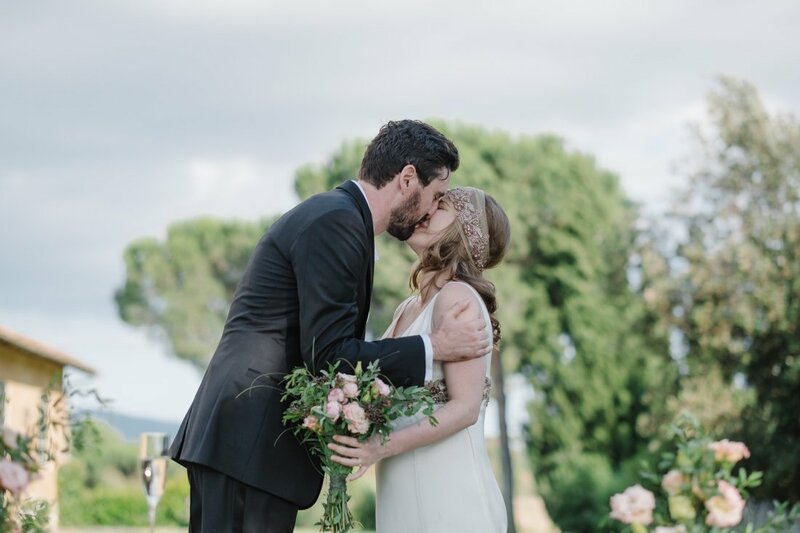 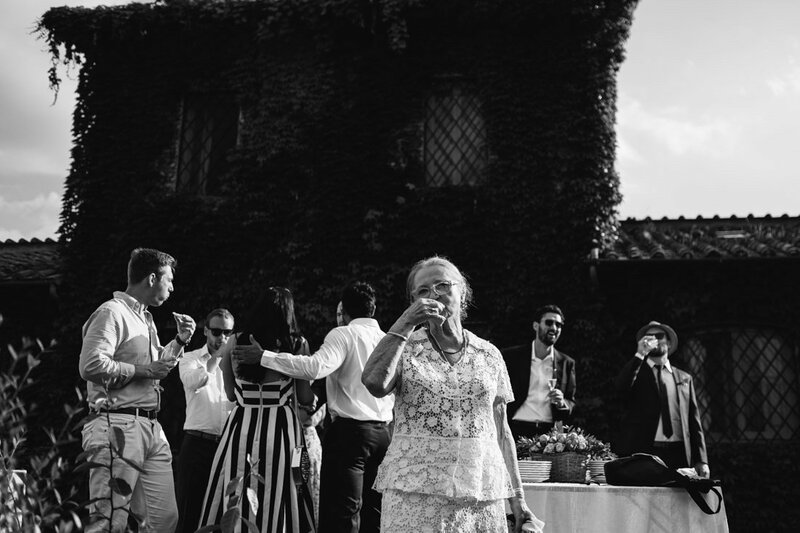 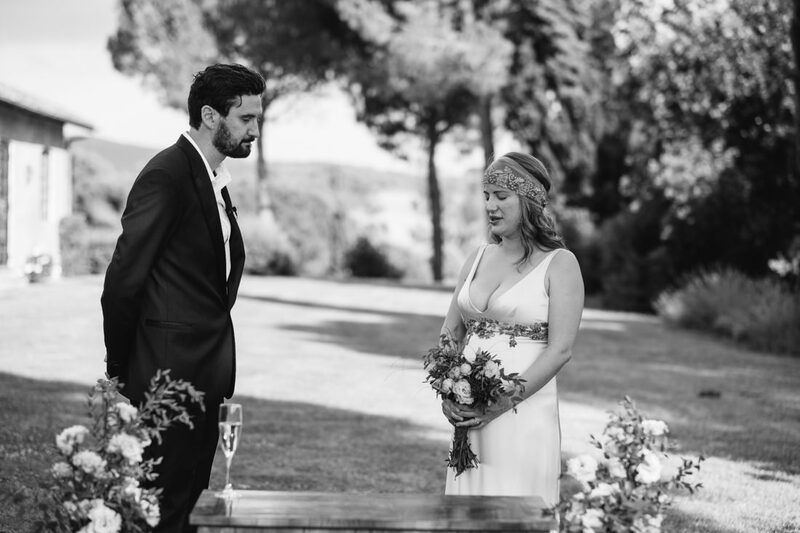 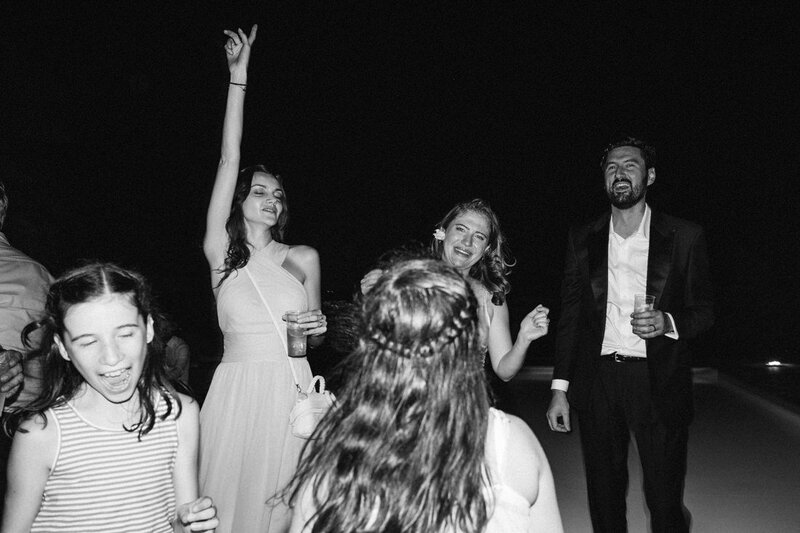 Vicky and Anthony are form NYC and they planned a fantastic destination wedding in Rome, Italy! 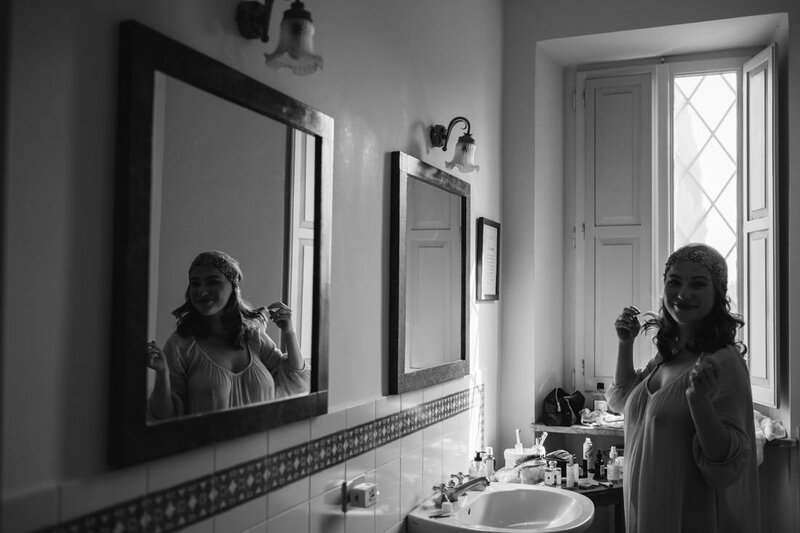 When Vicky booked our services and we realized that she is a great photographer in New York City we felt really honored. 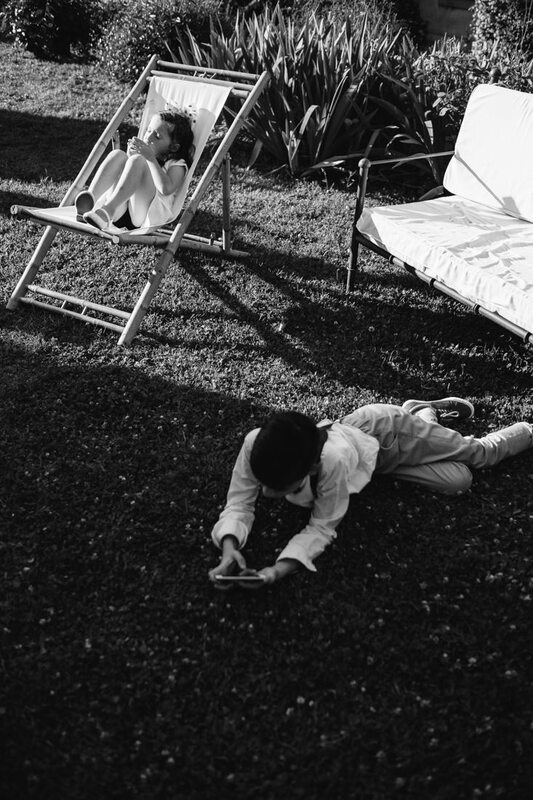 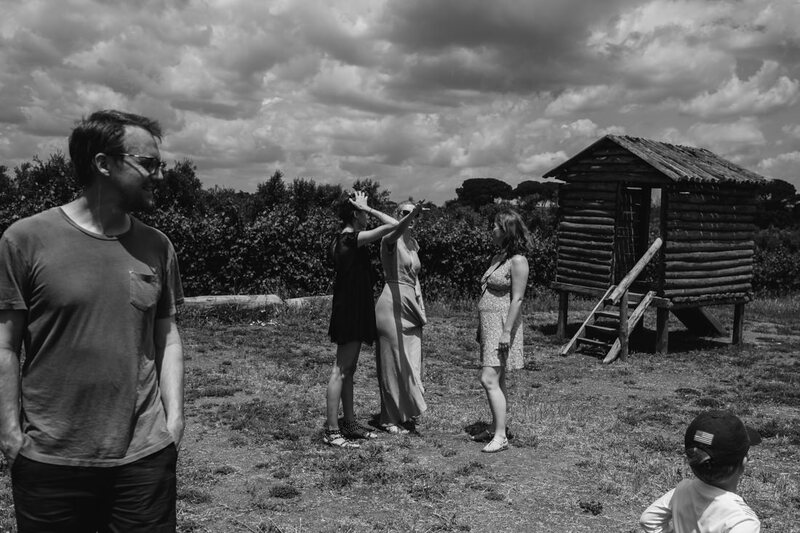 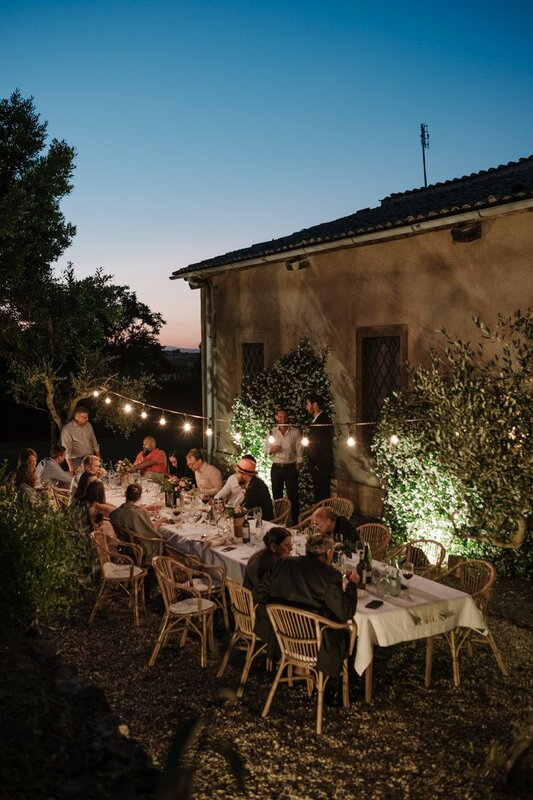 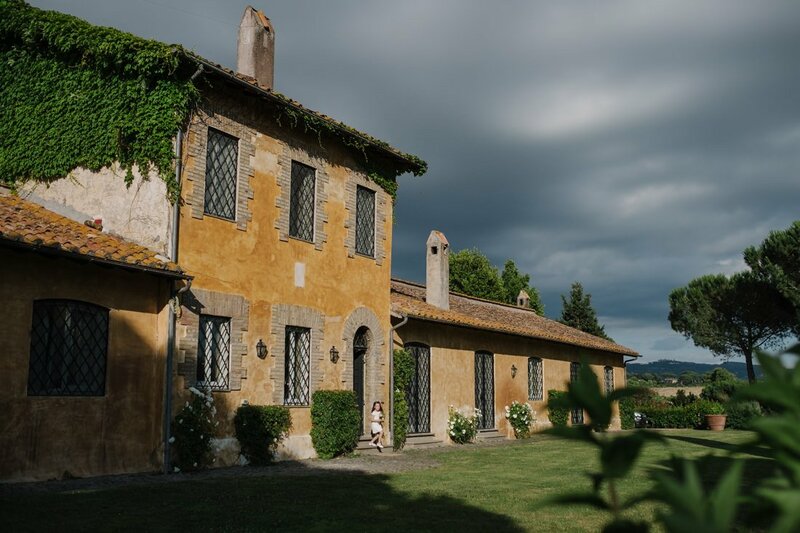 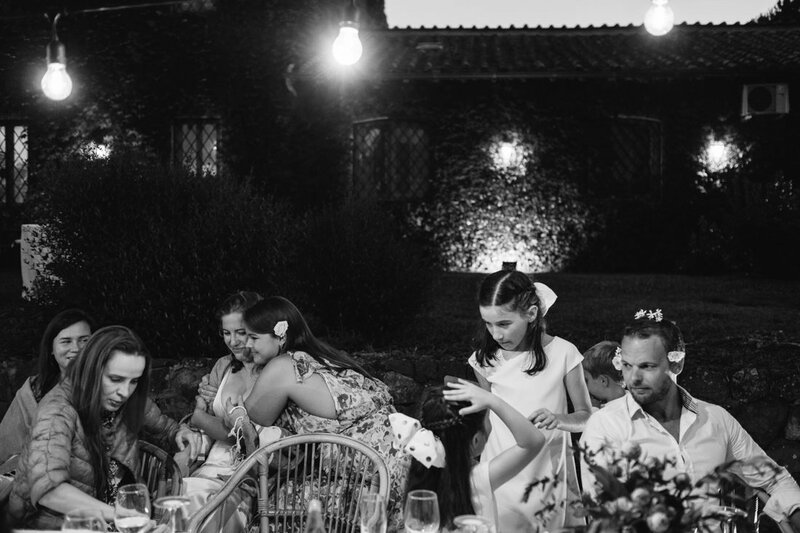 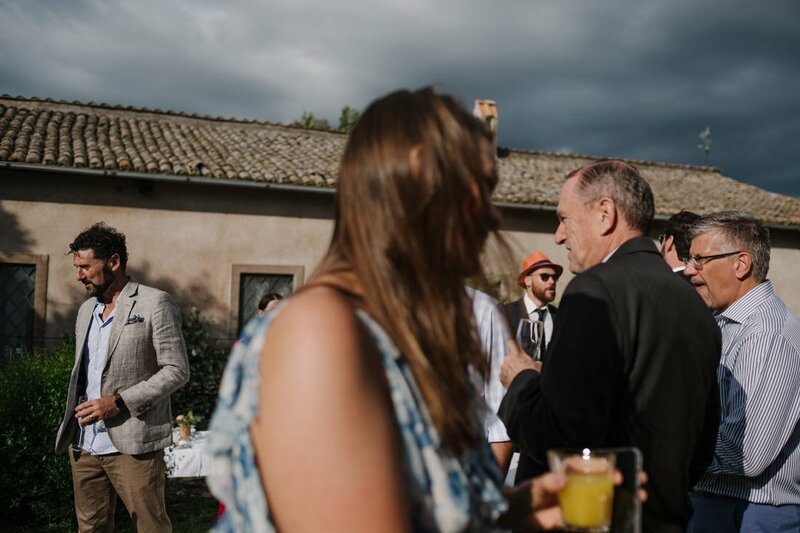 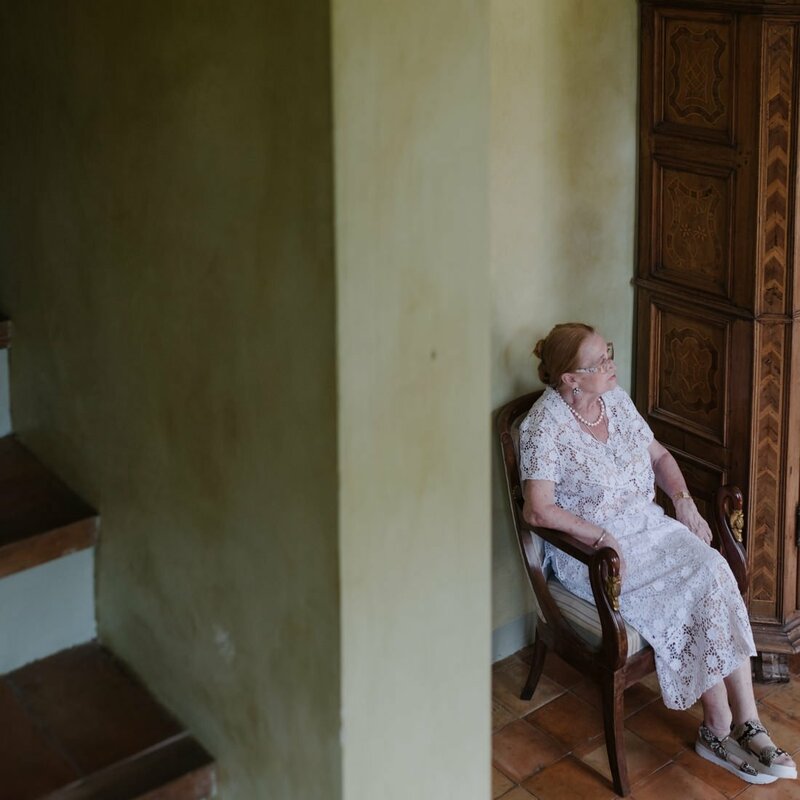 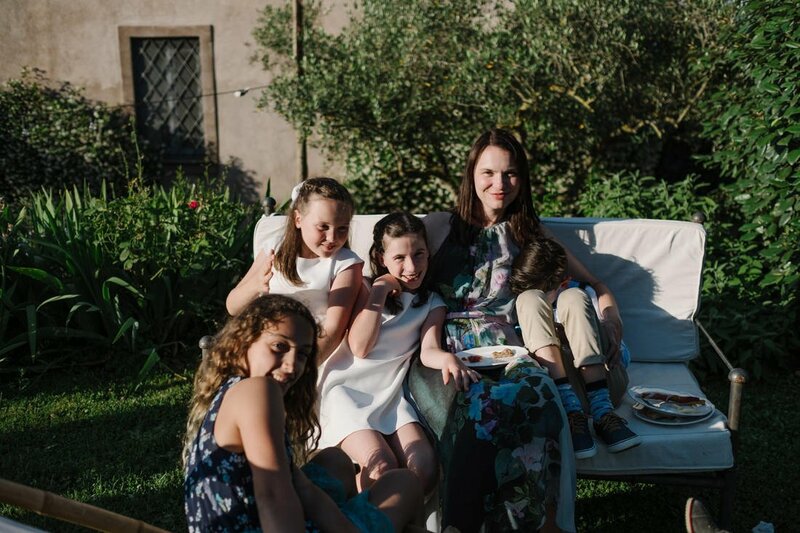 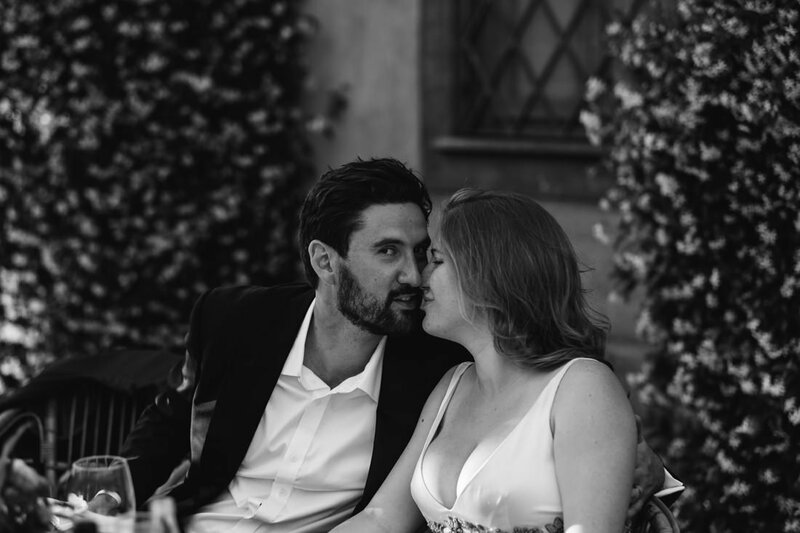 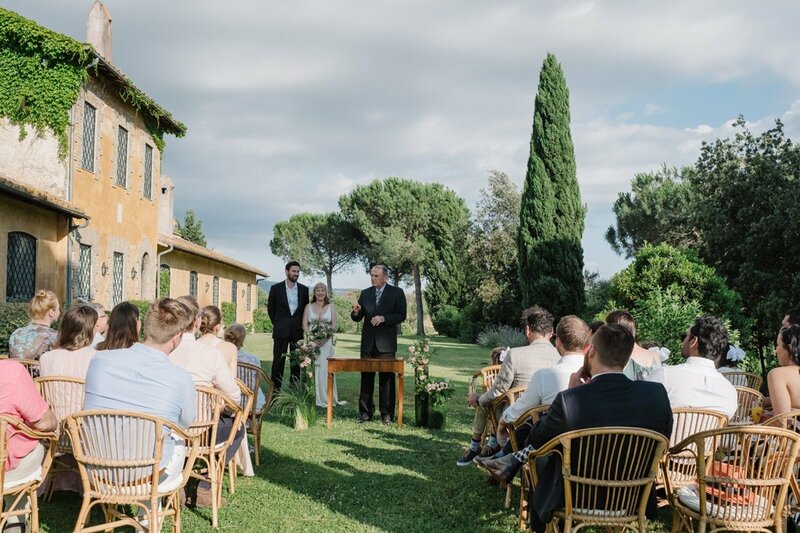 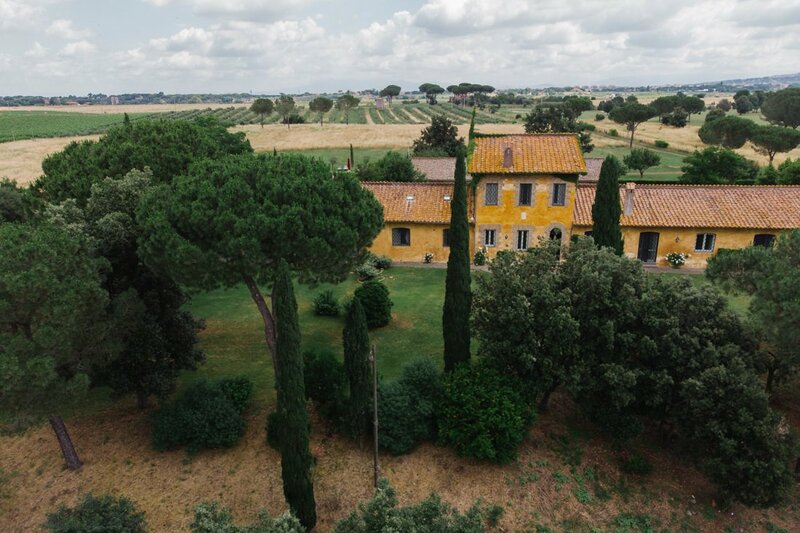 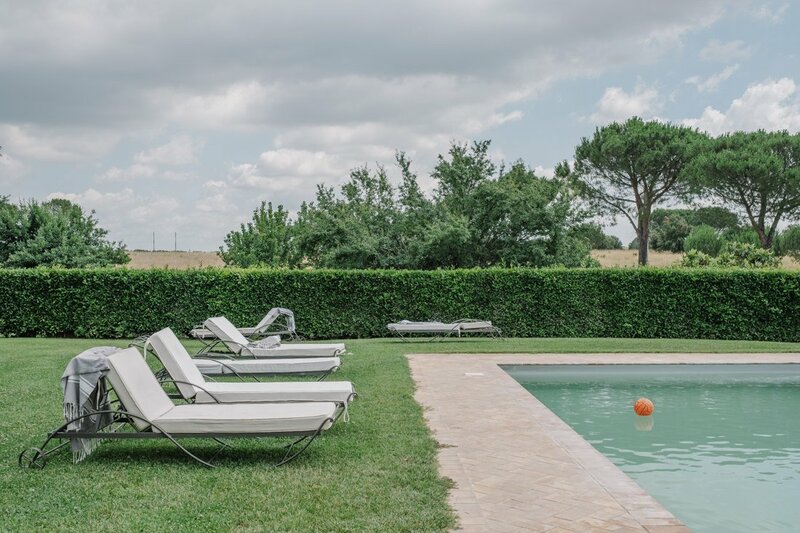 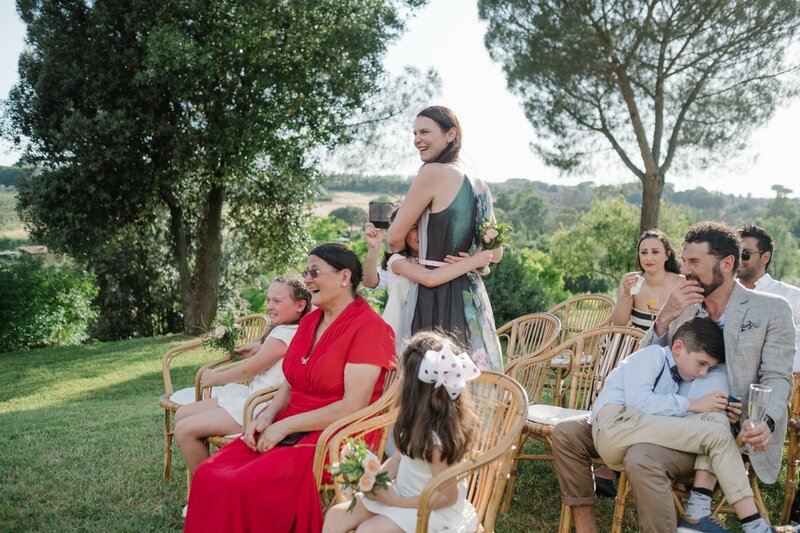 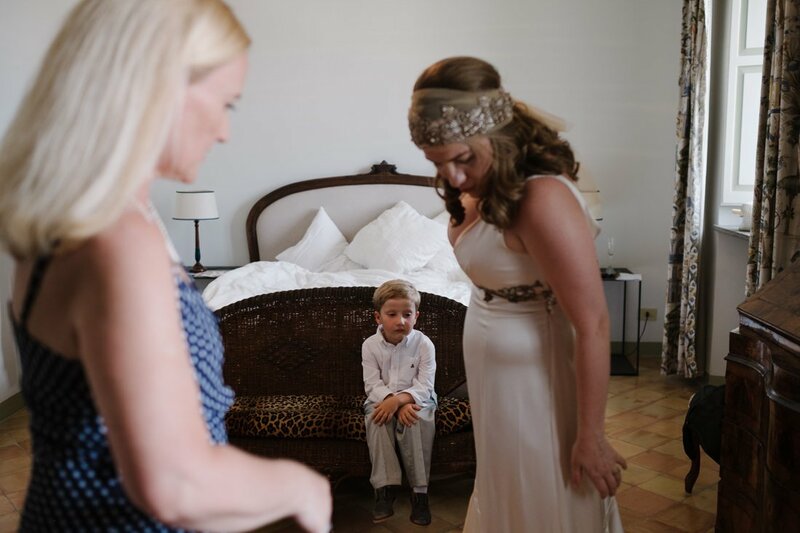 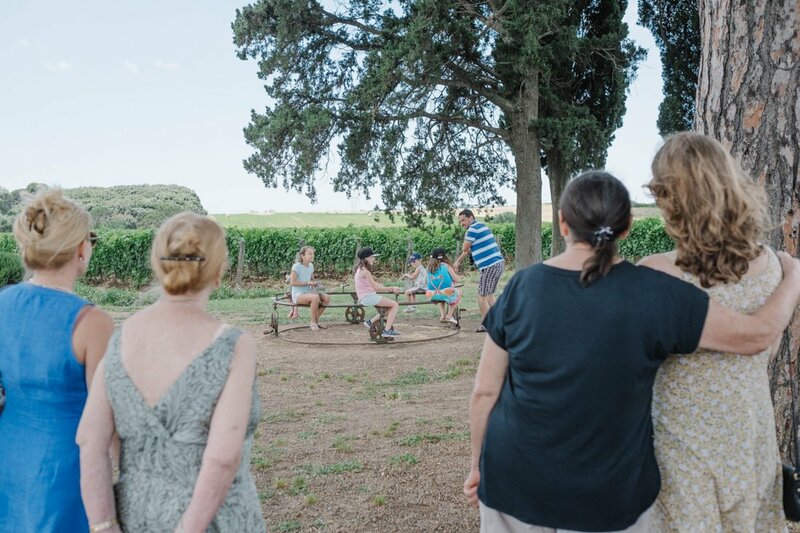 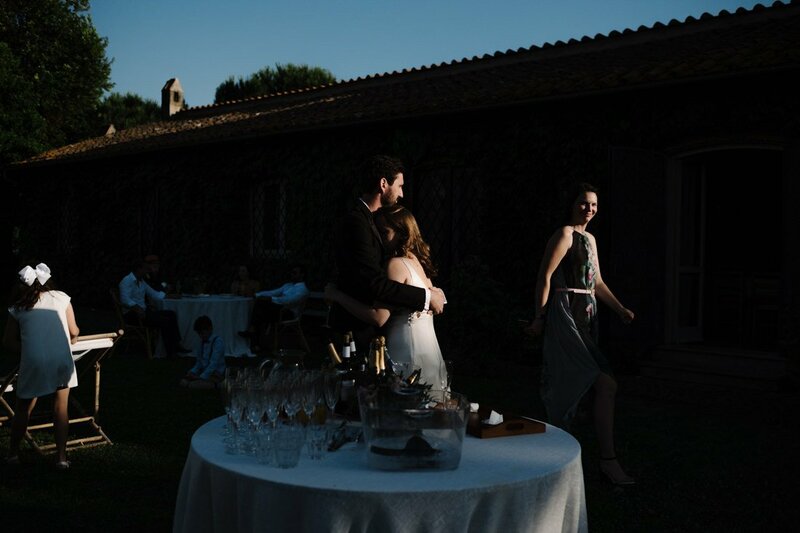 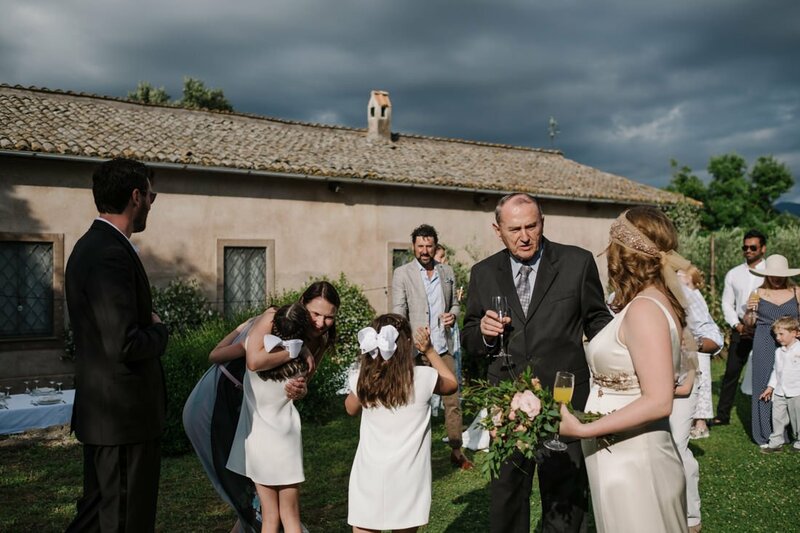 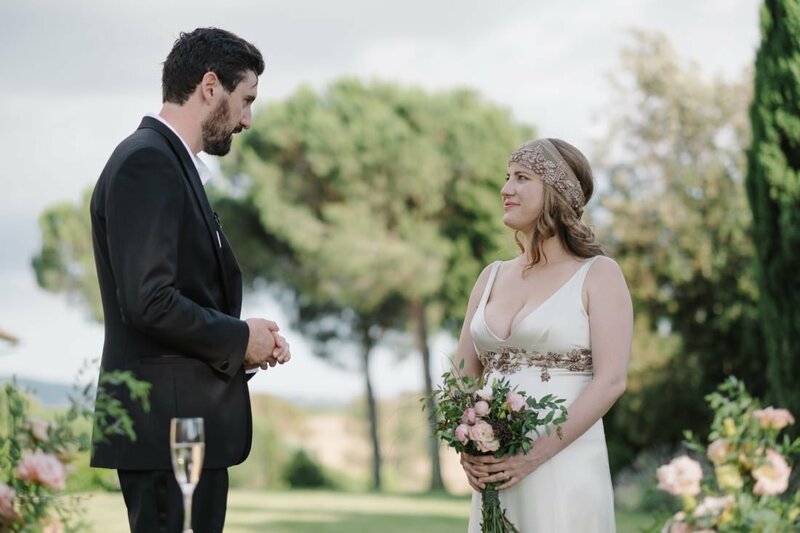 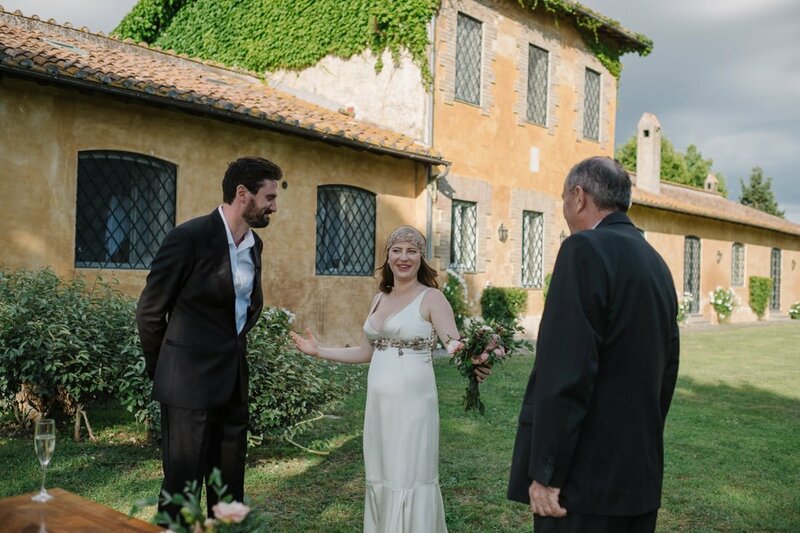 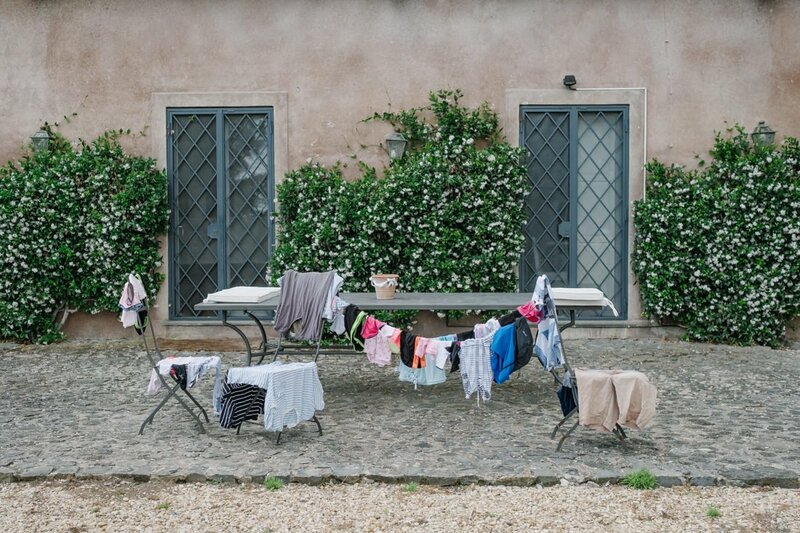 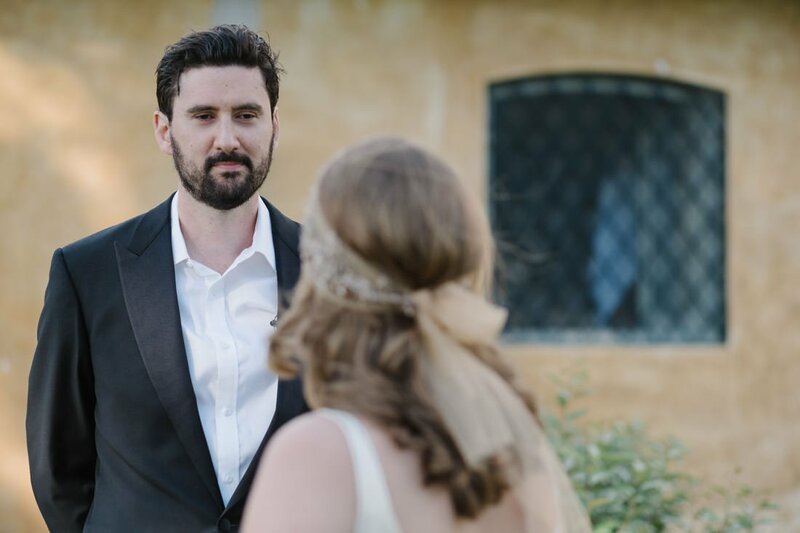 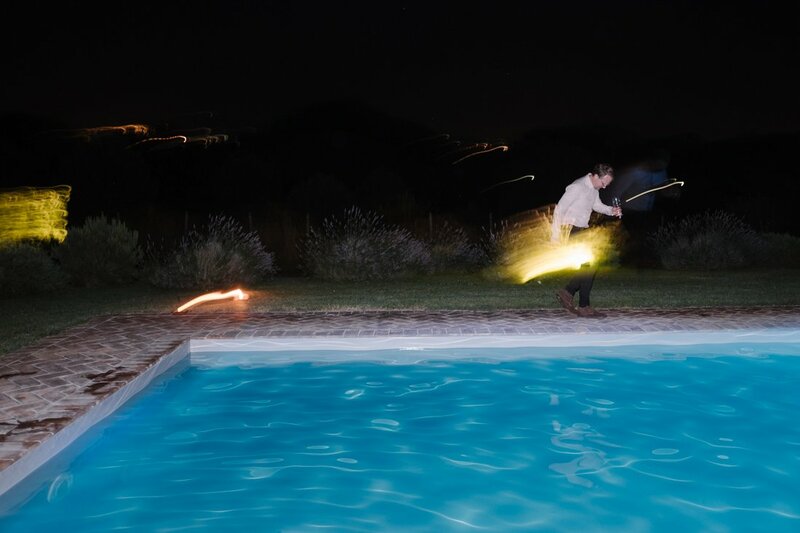 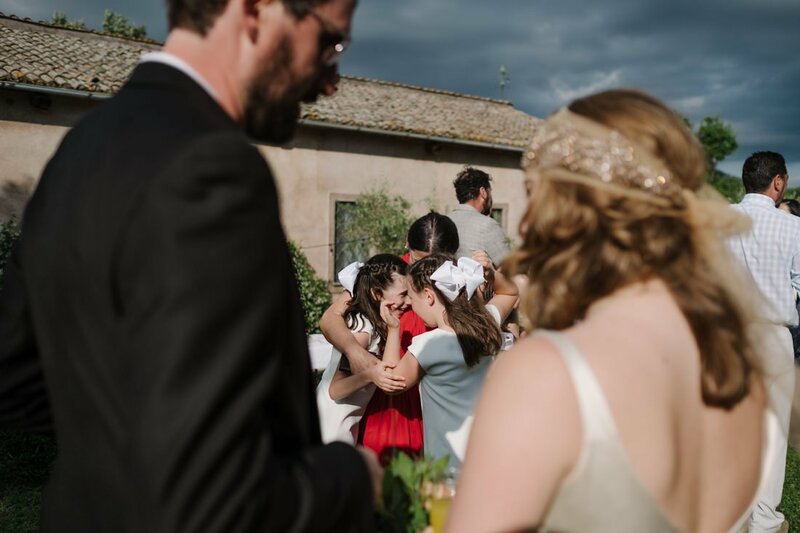 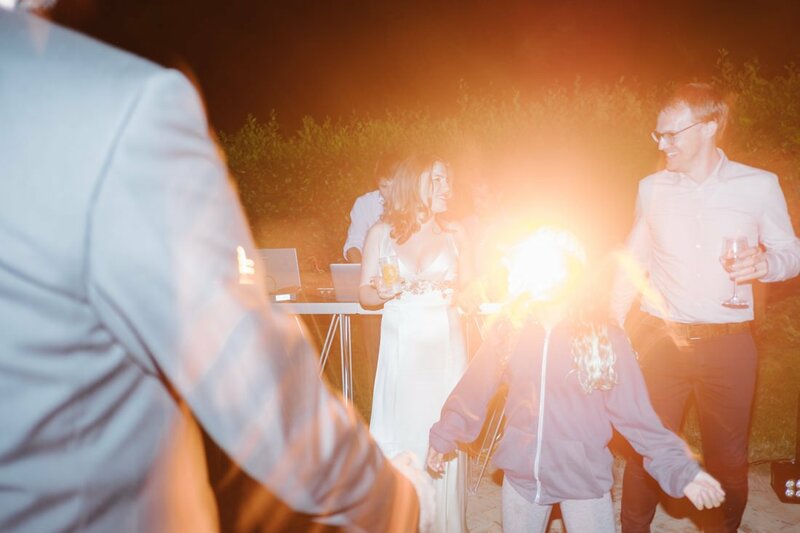 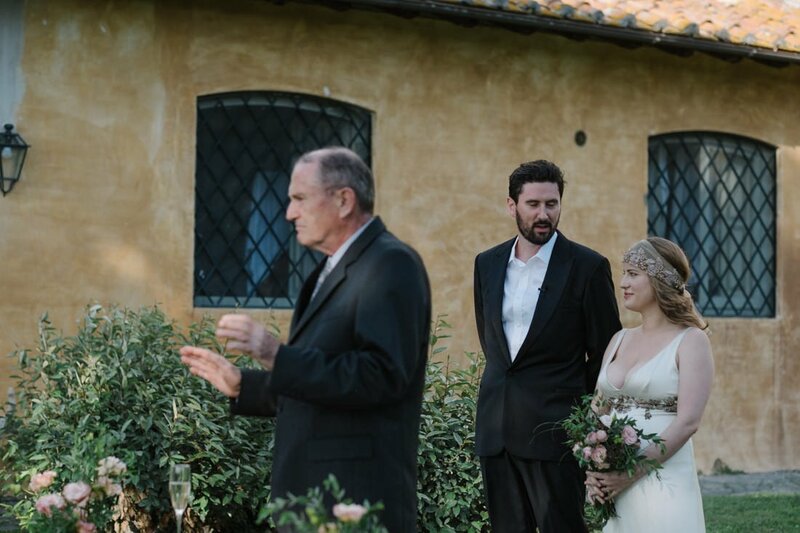 As soon as we arrived at the charming Casale del Gallo, a chic, historical country house at the doors of Rome, we were welcomed by Vicky and Anthony, the cheerful and kind couple we expected to meet, and by their closest family and friends. 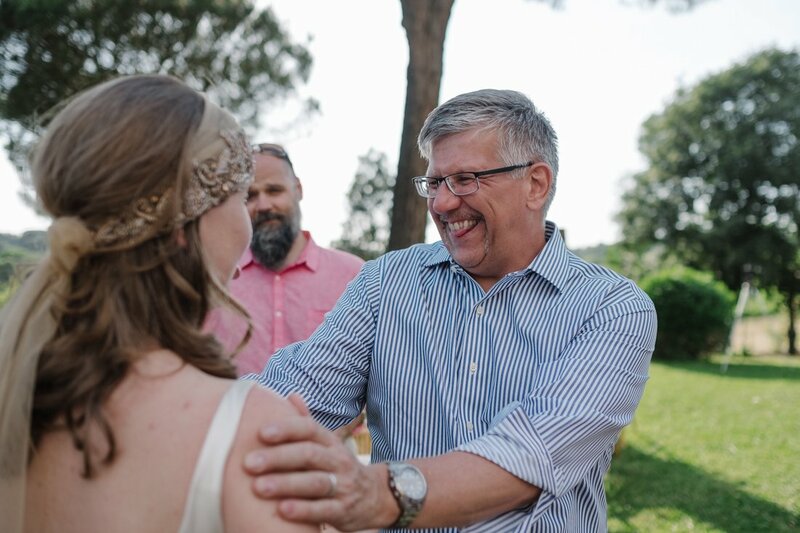 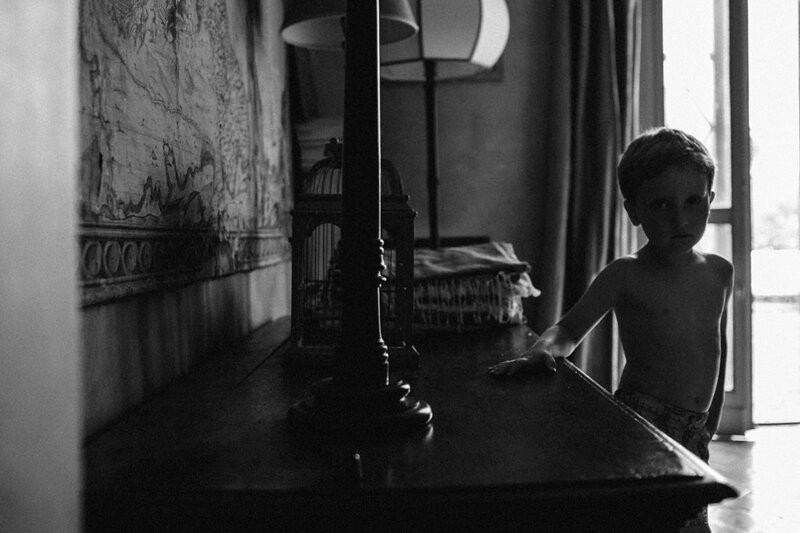 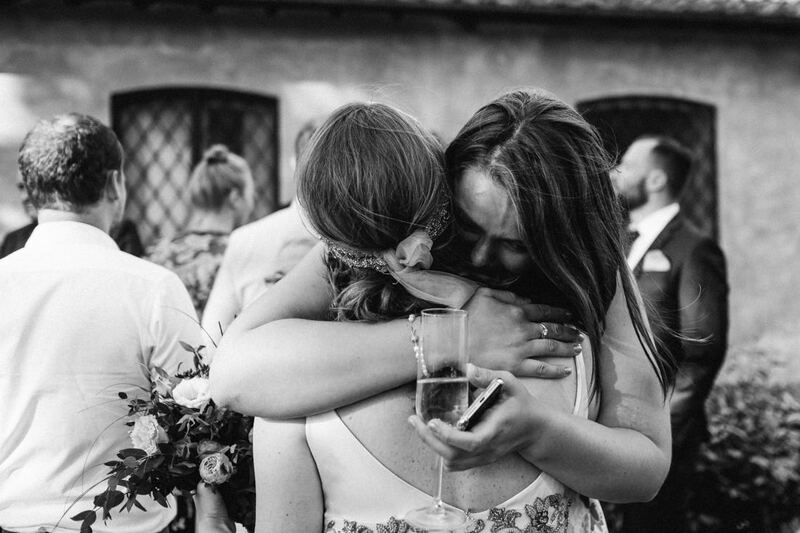 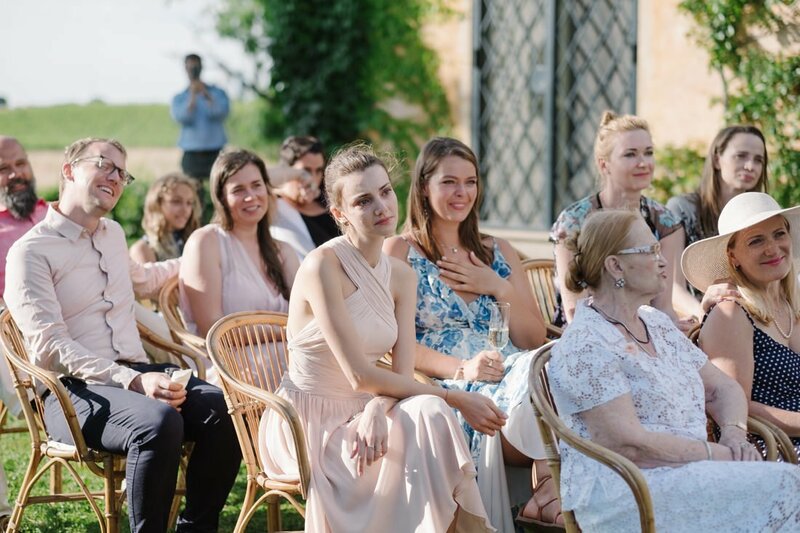 An happy, relaxed atmosphere at the beginning of a long wedding day. 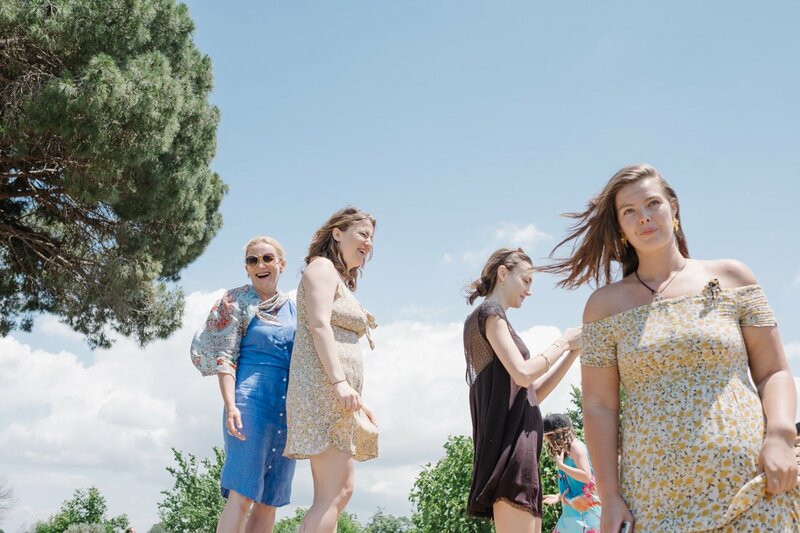 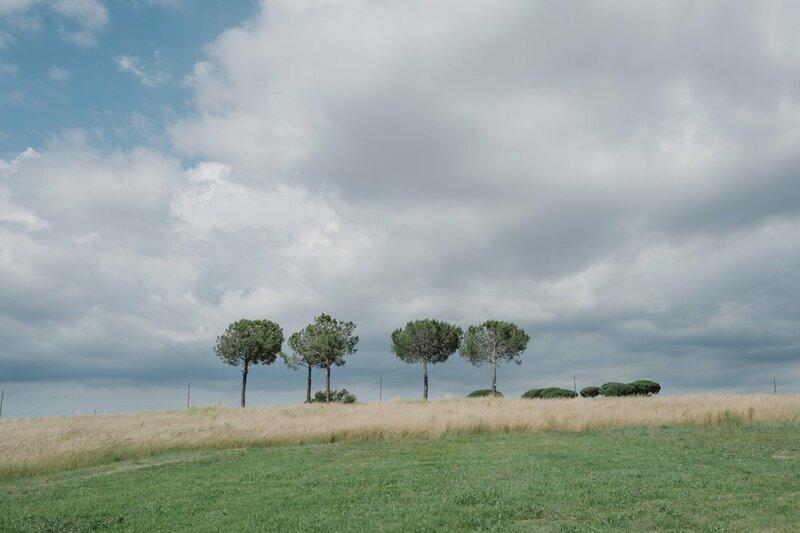 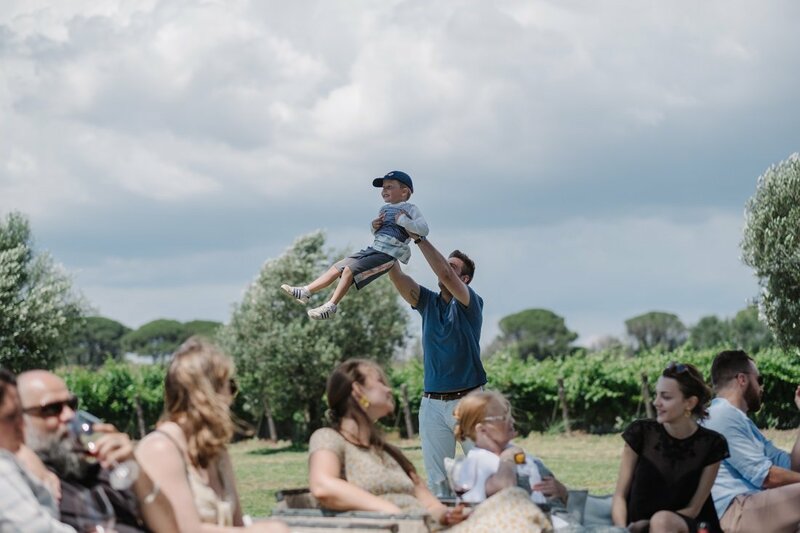 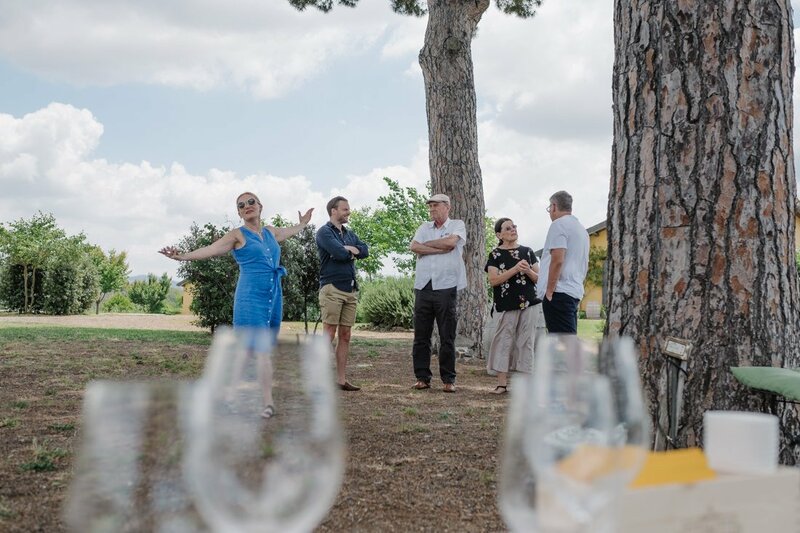 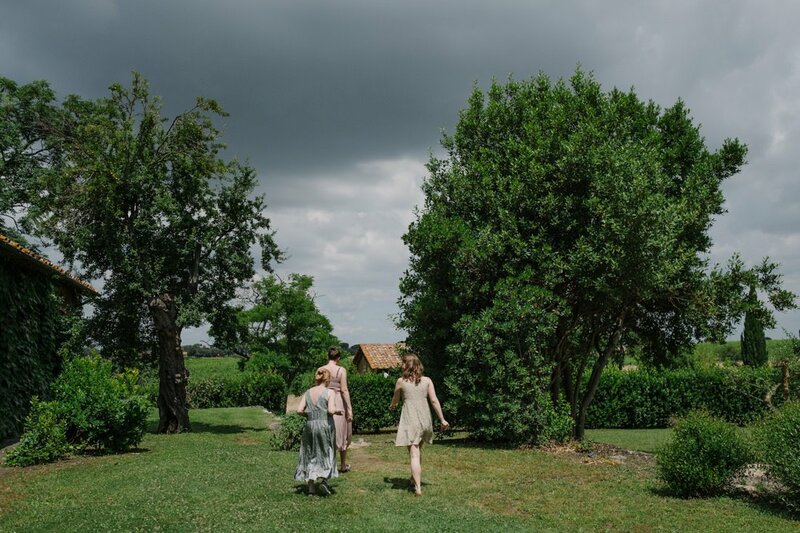 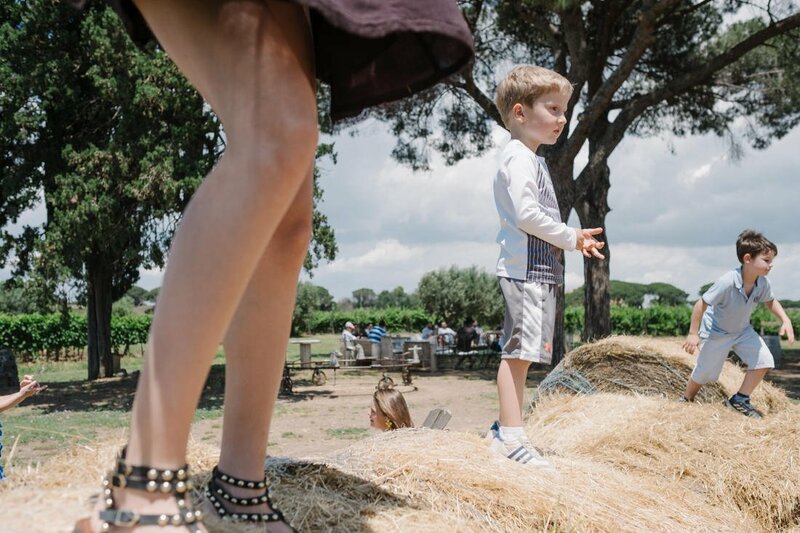 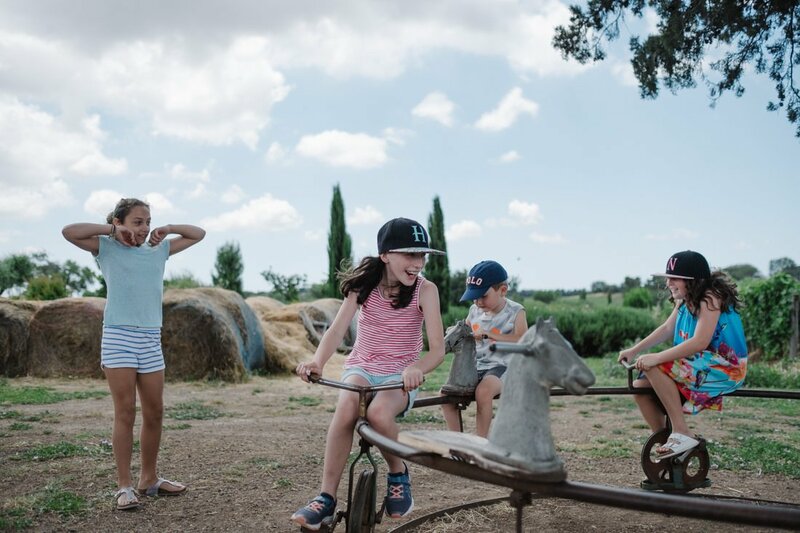 They enjoyed a wine tour, and a light lunch, in a lovely winery nearby the property, a good moment to spend time together, to experience the culinary surprises of this area of Italy and to let the kids play and enjoy. 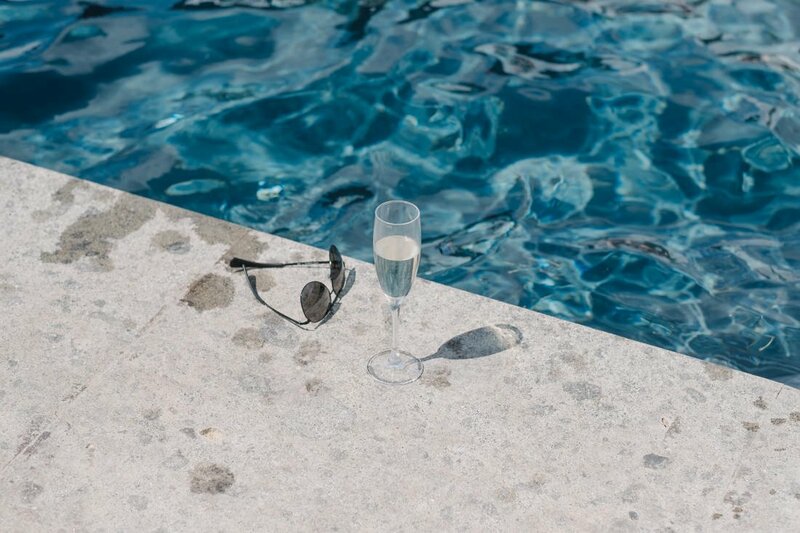 Before getting ready they all relaxed by the pool, there is always time for a toast. 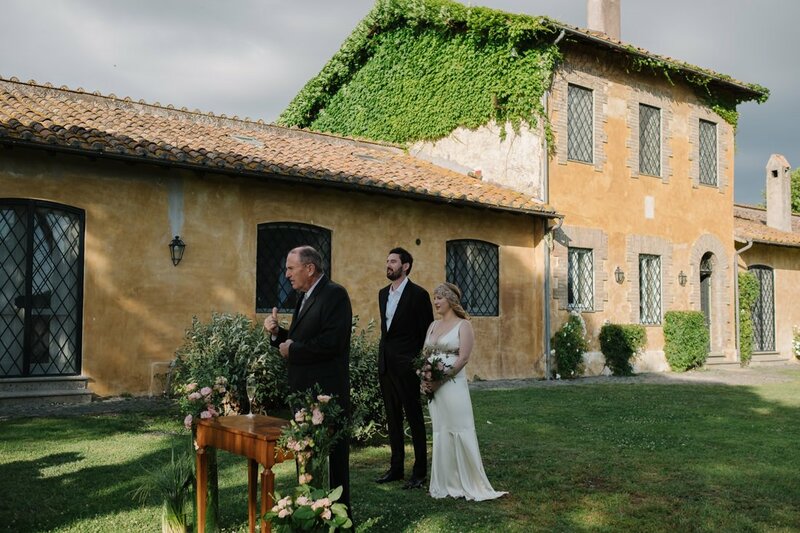 The symbolic ceremony took place in the garden just in front of the property. 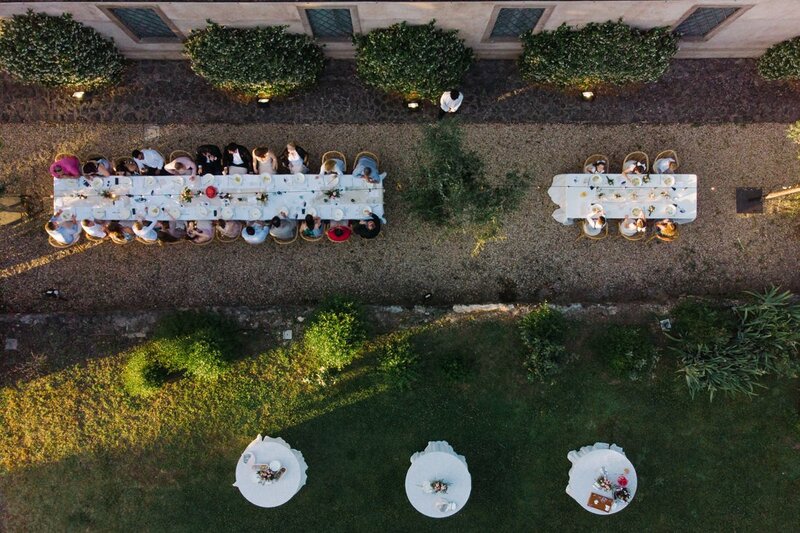 At the opposite side, the aperitif and the dinner tables. 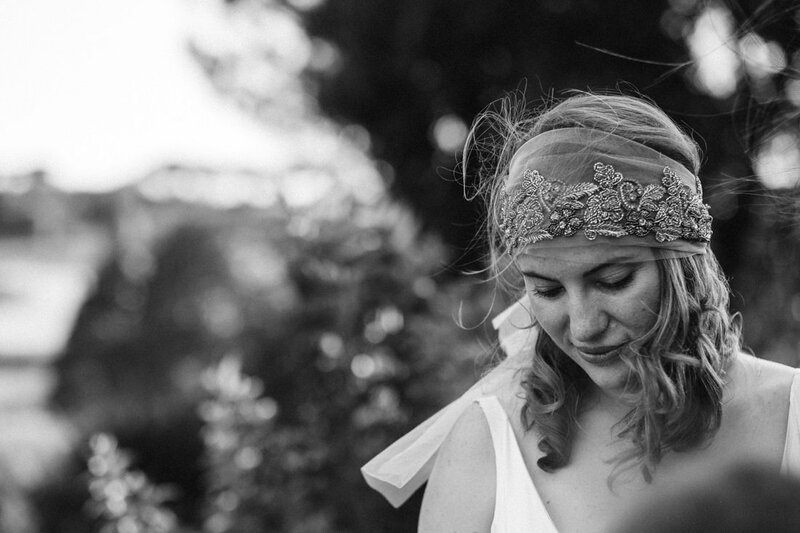 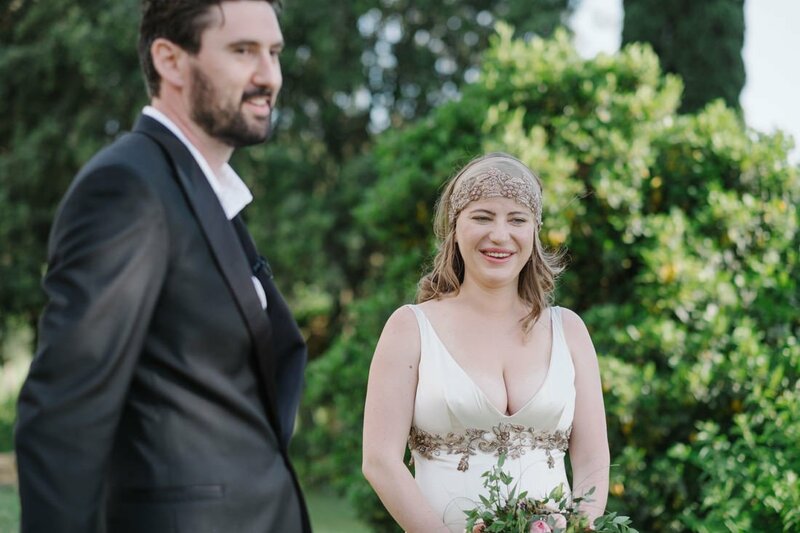 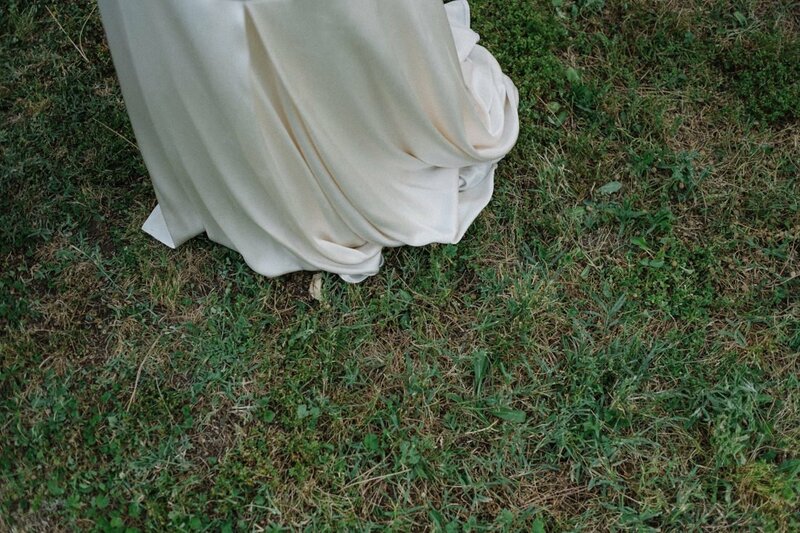 An intimate, relaxed outdoor wedding to celebrate this couple in love. 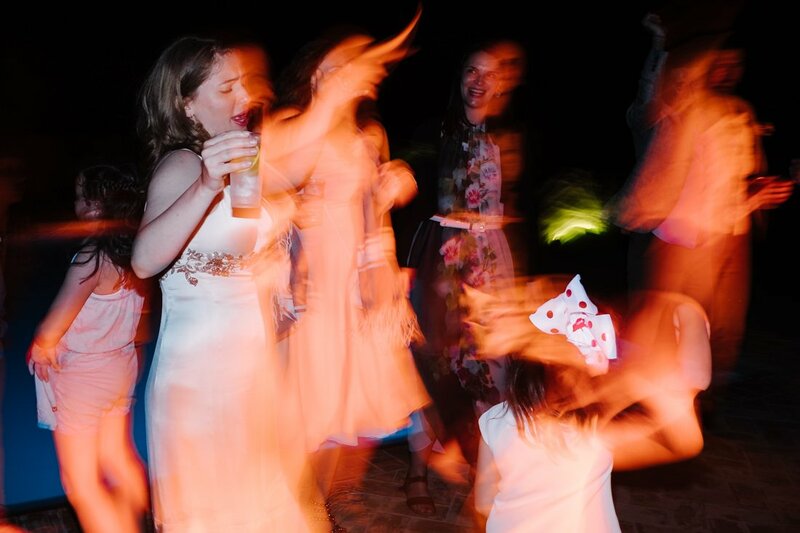 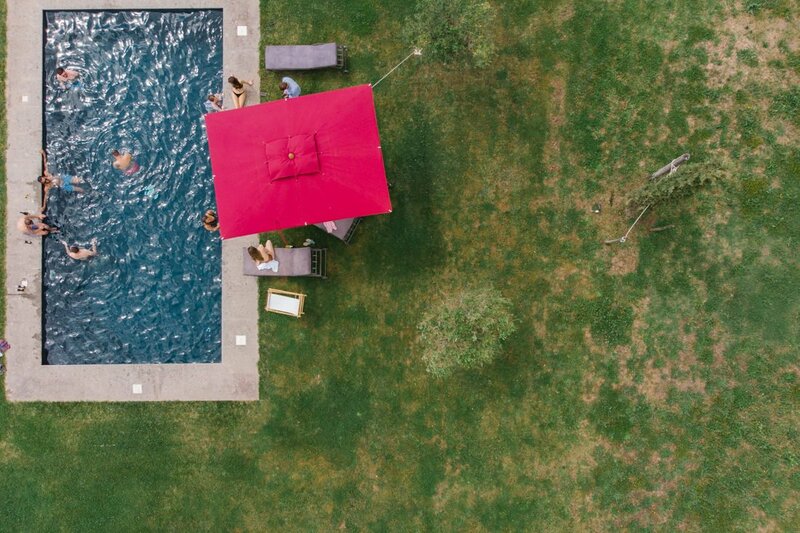 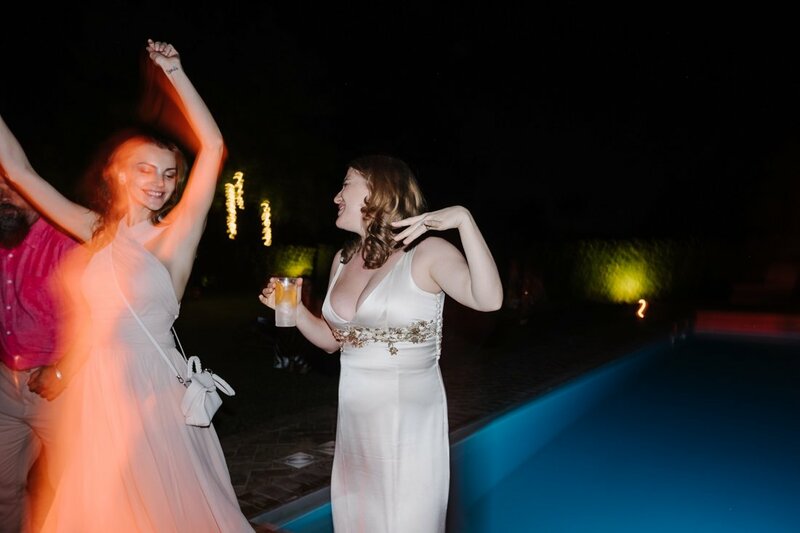 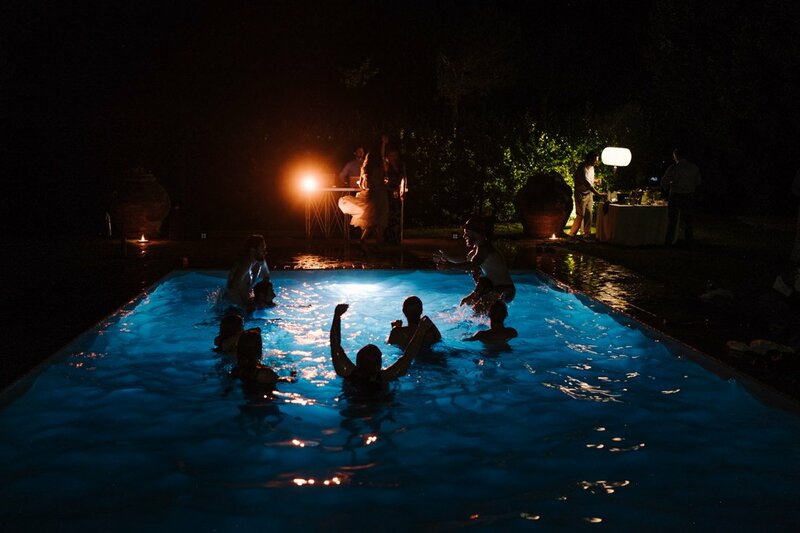 And if you dance by the pool you may want to jump inside to refresh… a crazy, wet party!